A senior fleet segment manager at Lawson Products wanted to pass on important knowledge and experience about the fleet industry to the Lawson sales force. He wanted to show how a tractor trailer truck had different “product regions” all over the vehicle that Lawson could help service. 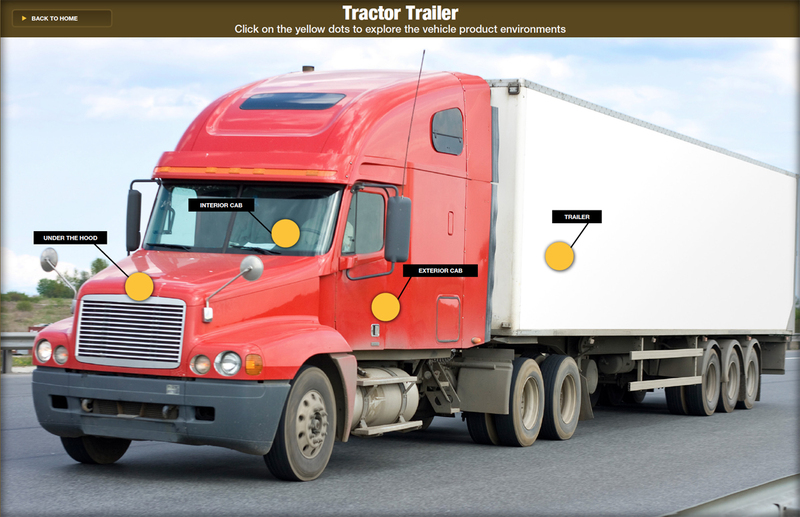 I recommended that an interactive website using images of the trucks could have “hot spots” that users could mouse-over and click on to learn more about what products Lawson provided. This would be connected directly to the existing Lawson Products online store to increase conversion. An interactive site would be a more effective and engaging tool for the information that they wanted to convey and would save the company money. I developed my concept into a wireframe for this interactive website we called the Interactive Fleet Environments site. I compiled the concept into a powerpoint presentation that included the website’s page hierarchy and examples of user interface experience. I then presented this concept to the internal team and the digital developers. I talked them through how the interactive user experience would operate. Later, I joined my manager on-site for a photo shoot to get all the images to use in the Interactive Fleet Environments. I gave creative direction and led the team of photographers to capture the necessary images of all the trucks. 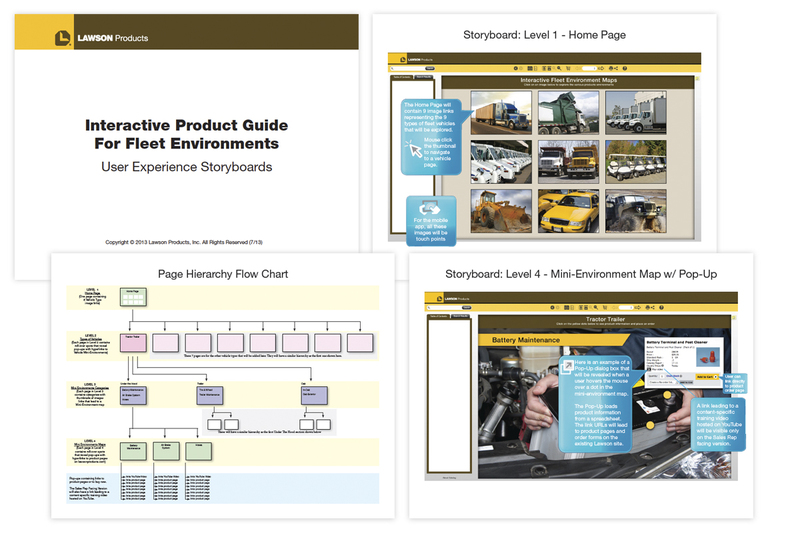 The end product was an interactive microsite that became an informative tool for sales reps and customers. ← Hired as the Creative Design Manager for Lawson Products Inc.